D.C. 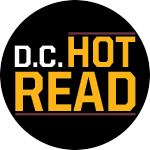 Hot Read is an official Monumental Network blog featuring Chris Russell, 106.7 The FAN's Redskins Analyst. Follow Chris as he covers the team and shares his insider insights throughout the NFL season. The Redskins schedule for Jay Gruden, Alex Smith and the boys hit officially on Thursday night and at first glance - it's not brutal but a couple of tough stretches really stand out and they better get off to a good start if they have any realistic hope. The buzz around Washington on a steamy day was could a now former Cowboy be of any use and interest to the Redskins? Could Dez Bryant help Washington beat Dallas and for that matter, anybody else? The answer is yes. And no. After eight excruciating seasons under the leadership of Bruce Allen, it appears that finally, Dan Snyder might be ready to try and change the landscape at Redskins Park and beyond. Could this be Allen's last draft? Last season? Only time will tell, but one thing is for sure - when the boss isn't happy, nobody's happy. The Redskins gained a key player back and lost a leader in the last 24 hours or so. Such is life in NFL free agency but there's no doubt that the player they brought back - if healthy - fills a very specific need and one that has been largely ignored by the Bruce Allen administration for eight-plus years. The Redskins have had many problems as an organization over the last quarter-century. There have been some bright spots and moments along with many dark days. One huge reason for the latter? Their stunning amount of failure in the higher-rounds of the annual draft. The lifeblood of a franchise in any sport has been a nightmare in Washington. It's the end of an era that should have been a lot better. Both parties are at fault, no matter what you read and who you read or hear it from. Su'a Cravens is on his way to Denver and while the Redskins feel they had no choice - they pulled the plug prematurely on another high round pick that provided nothing but a headache. Pernell McPhee is apparently close to joining the Redskins per one prominent national report late on Saturday night. If the report is true, the Redskins productive pass rush may have exchanged two for one but found a replacement that offers a little bit of everything. The Redskins landed a free-agent on Monday that most of their fans were luke-warm (and that might be kind) about. On the surface, signing Orlando Scandrick might not make sense because of his age and injury history but as usual, if you dig a little deeper, it makes all the sense in the world. Strike up the Band! Zach Brown is Back! The Redskins secured starting inside linebacker, Zach Brown, on day two of free agency, which ensures that they'll have speed and stability to help stop the run while hoping that the player rewards them with a better performance in some key areas. All in all, it was a good day for Brown and the burgundy and gold. The Redskins have lost a lot more than they've gained so far in the 2018 league year, but that should not be a surprise. In the Bruce Allen era, Washington has pounced on free agents quickly but at very reasonable prices & questionable skill-sets and therefore have struck out more than they've walked off. This year, it appears they have a slightly different approach. The Redskins have landed their first big target in free agency as Paul Richardson of the Seattle Seahawks has reportedly agreed to terms with Washington. Now, what does he bring? Besides speed, a flair for the dramatic. Who Could the Redskins Target? The Redskins have struck out more than they've hit a home run in free agency during the Bruce Allen era. However, they have hit a few home runs, like Pierre Garcon and to a lesser degree, DeSean Jackson and Josh Norman. This year, they have no choice but to hit at least a few booming doubles and triples to the gap, if they're going to break free from the chains of mediocrity. Redskins Interested in Mayfield & Lamar? It's lying season! The Redskins are meeting with big name quarterbacks and leaking interest in others. Normally - that's a bad thing. Except, this time it's a very good thing. It could mean absolutely nothing or it could be a franchise defing and shaping moment. The Redskins are looking for a veteran wide receiver who can do a little bit of everything and doesn't cost a fortune. Their best bet? Hoping that the market doesn't bare fruit and they can sign a potential stud on a one-year deal like the Eagles did with Alson Jeffery. So who could that guy be? How about Allen Robinson? Albert Wilson is far from a finished product but he should be a top target for the Washington Redskins in free agency. He does a little bit of everything as a wide receiver and elevated his game in 2017 under former Chiefs and soon-to-be current Redskins quarterback, Alex Smith. If Su’a goes…Jay Doesn’t Know! For now, Su'a Cravens is still a member of the Washington Redskins. For now, being the key words despite a direct message to the contrary from Jay Gruden. The question is - do you believe him? Should he have said anything at all? And do the Redskins need to treat Cravens with a completely different approach. Redskins Making a Big Mistake? The Redskins could be making a huge mistake if they don't bring back Zach Brown, but that's only if Brown plays fair. As of now, based on reports, he wants to be the top-paid inside linebacker regardless of scheme and if the Redskins commit to that, they would be hurting themselves more than helping themselves, if that's the final price tag. Who Should the Redskins Target at WR? It's expected to be a mediocre free agent class when the gates open around the NFL in few weeks. For the Redskins, they have no choice but to spend some money but spend it better than they did last year. Especially at the receiver position, where they need a good amount of help. The problem is they need it now and that might force them to overspend and get bad value. Should Redskins Protect Themselves With a Tag? The next several weeks should be very interesting as always for the Redskins. What should they do as a final dance with Kirk Cousins? Is there a reason why they should actually play tag and you're it again with Cousins? There's only one scenario that makes sense in my eyes. The Real Problem(s) for Alex Smith & Redskins? Ask one-hundred people for their opinion and analysis on Alex Smith, the Redskins new quarterback and Kirk Cousins, the Redskins old quarterback, and you will likely get a hundred different answers. In the end, the jury is still out for both. As for the Redskins and Smith, they can go a long way towards a happy long-term marriage IF Jay Gruden is willing to build their system together and not force it. Su'a Cravens apparently wants to play again. That's nice. Hopefully, the young Redskins safety (for now) is healthier, mentallly and physically, for his own good and potentially for the Redskins. Now, it appears that the Skins will have a very difficult situation that they partially created by years of ineptitude and mis-management. Since the Redskins somewhat shocking trade for Alex Smith two weeks ago, the debate of who is better - Smith or Kirk Cousins has been a hot topic. While the real answers will have to wait, one of the best quarterbacks in NFL history is confident, an old thorn in the Skins side is not and then there's your view and mine. Did the Redskins make the right choice? The San Francisco 49ers made a bold, aggressive decision on Thursday that set the NFL world ablaze. It's a new age way of thinking. Unlike the Redskins in early 2016, the 49ers recognized how the NFL quarterback market actually works and have locked in their on-field leader. The Redskins just keep spinning their wheels while Kirk Cousins still has Kyle Shanahan to thank. The Redskins fell short again in 2017 to the surprise of no one with a rational, unbiased view of the organization. Those in the executive branch probably expected to be where the Eagles wound up on Sunday. As unrealistic as that was - how far away are the Skins from a celebration like Philadelphia is experiencing? Or better yet, how close are they? The Redskins and the Chiefs swung a deal on Tuesday night that shocked the NFL world as much for timing as anything. It was pretty clear that Alex Smith was going to be traded and that the Redskins would possibly be interested, but nobody thought the deal would get done before February and that it would cost the Skins a top, young defensive player. Is Bruce Allen Really Smart? Bruce Allen has done a lot of things in his NFL career. Some good. A lot of not so good. There's no doubt he is held in much higher regard around the NFL than he is here in Washington by many fans and some media. He's shrewd, calculating and many believe he is "Super" smart. That might be the closest he gets to anything "Super" at this time of the year, again. But why hasn't his intelligence translated to a better product on-and-off the field for the Redskins? Mason Foster's return to the Washington Redskins for 2018 and possibly beyond is a very good thing for Greg Manusky's defense. The problem? It likely ends Zach Brown's short one-year stay in Washington for several reasons. The first, of course, for all parties involved, is money. The rest is connected to $$$ but it goes deeper.